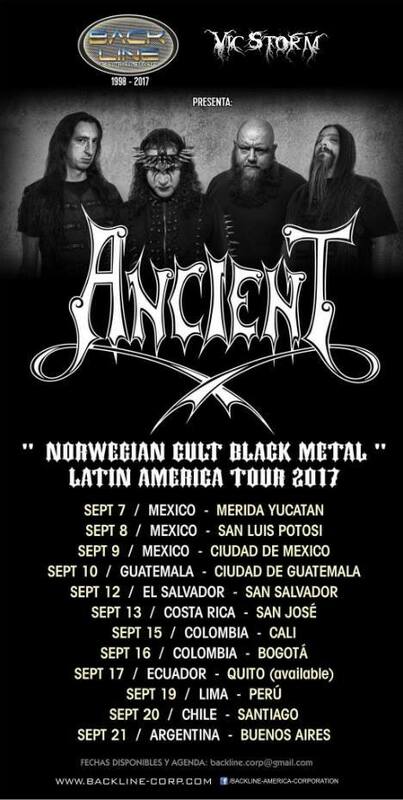 Norwegian black metal band Ancient are touring Latin America later this year. Latin American headbangers should check them out. Hopefully Ancient will play none of the godawful black ‘n’ roll that came after Trolltaar. ANCIENT – SOUTH AMERICA TOUR 2017 DATES !!! They switched the country and city for the September 19th show on the poster. Did they not proofread their own tour poster?